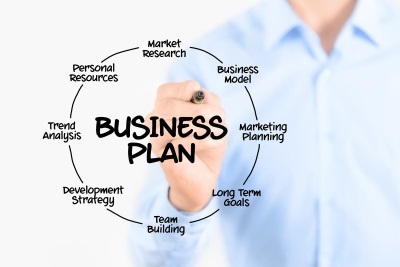 Starting a small business in Australia often starts with writing a business plan. A small business needs to get the most out of every expenditure and business opportunity. Small businesses also face challenges related to seeking financing and investments. Luckily there are small business loans programs to help small businesses. It's not enough to know about the business you want to start, you have to know how to write the documents that you will need to persuade people to support you. Do I need a business plan? Here's how to tell if you need one, what to put in it, and how to write it. The best way to show bankers and investors that you are worthy of financial support is to show them a great business plan. Make sure that your plan is clear, focused and realistic. Then show them that you have the tools, talent and team to make it happen. Your business plan is like your calling card, it will get you in the door where you'll have to convince investors and loan officers that you can put your plan into action. Once you have raised the money to start or expand your business, your plan will serve as a road map for your business. It is not a static document that you write once and put away. You will reference it often, making sure you stay focused and on track, and meet milestones. It will change and develop as your business evolves. Not everyone who starts and runs a business begins with a business plan, but it certainly helps to have one. If you are approaching a banker for a loan for a start-up business, your loan officer may suggest that they will require a business plan. If you have an existing business and are approaching a bank for capital to expand the business, they often will not require a business plan, but they may look more favourably on your application if you have one. What's in a business plan? A business plan should prove that your business will generate enough revenue to cover your expenses and make a satisfactory return for bankers or investors. Executive Summary--features the highlights of your plan and sells your idea in two pages or less. Company Summary--a factual description of your company, ownership, and history. Products (or Services or both)--describes your products and/or services and how they stand out from competitive products and services. Market Analysis-provides a summary of your typical customers, competitive landscape, market size, and expected market growth. Strategy and Implementation-describes how you will sell your product, how you will put your plan into action, and establishes milestones. Management Summary-provides background on the management team, their experiences, and key accomplishments. Financial Plan-contains key financials including sales, cash flow, and profits. Sitting down looking at a blank computer screen as you prepare to start your business plan can be daunting. You may want to look at some alternatives that will make the process a bit easier. What makes a successful business plan? © 2019 FJF. All Rights Reserved.